A case from the Iowa Court of Appeals today highlights a little provision in an Iowa wind energy agreement that may have killed a contract for the sale of farmland. This case should remind anyone negotiating a wind energy agreement to understand the provisions and their consequences before you sign the agreement. The defendants in this case owned 149 acres in Dickinson County. In 2009, they entered into a wind energy lease and agreement with a wind company, and the wind company constructed a wind turbine on their property. In 2013, the defendants sold 77 acres of their farmland at an auction. The plaintiffs purchased the farmland for $616,000. The Sellers shall assign all of the rights and obligations in the “Memorandum of Wind Energy Lease and Agreement” to the Buyers…If Sellers fail to timely perform their obligations under this Real Estate Contract, the Buyers shall have the right to terminate this Real Estate Contract and have all payments made returned to the Buyers. But, the wind company said not so fast. The company pointed to a provision in the wind energy lease prohibiting the wind energy rights from being severed from the property. 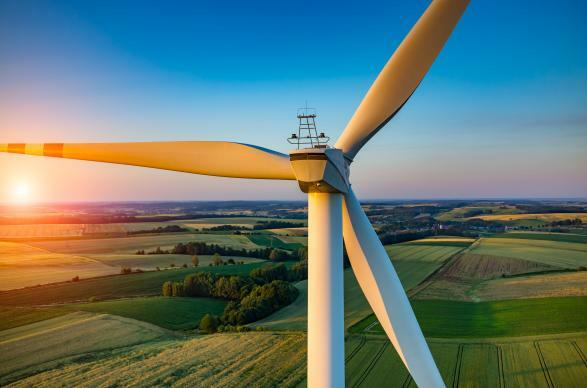 Based upon this provision, the wind company would only agree to transfer to the plaintiffs the rights under the lease tied to the property the plaintiffs had purchased. Apparently, some of the wind energy rights were tied to the property still owned by defendants. The plaintiffs filed a breach of contract action against the defendants and asked the court to terminate the contract. The district court granted summary judgment to the plaintiffs, finding a breach and ruling that termination was the proper remedy under the terms of the agreement. On appeal, the Iowa Court of Appeals reversed and remanded, holding that it was possible that the purchase agreement merged into the warranty deed. If that happened, termination of the contract may not have been the proper remedy. In other words, monetary damages may be more appropriate. On remand, the district court will consider the merger question. The contract may not be terminated. But there’s no doubt the terms of the contract (and of the deed) were breached. Anyone planning to sign a wind energy agreement should read this case with interest. It is very important to fully understand the provisions in the agreement and how they will impact transactions down the road. For more information about wind energy agreements, read this review. The case is Krummen v. Winger, No. 15-1044 (Ia. Ct. App. Sept. 28, 2016).